Microsoft has come to the smartphone and tablet party late. Let’s clarify that: it has a history of doing great things – it just somehow often manages to do them too early or not quite in the right way. When it comes to the mobility market (smartphones and tablets) Redmond is definitely playing catch up from both a hardware and software perspective, and while industry pundits might view today’s announcement of the Surface 2 and Surface Pro 2 as a ‘more of the same’ approach (which it largely is) it’s a logical step for a company that’s just getting started. It’s easy to forget that the iPhone (and therefore iOS, although it wasn’t called that at first) came to market back in 2007 – six years ago. Similarly, the iPad came to market in 2010. That’s quite some catch-up Windows needs to perform to be considered a serious contender, both on tablets and smartphones. It’s good to keep in mind that Windows Phone’s first incarnation didn’t arrive until 2010 and even then it was pretty useless until the Mango (Windows Phone 7.5) update. The original Surface’s launch was even more recent – just last year – and while Microsoft is no stranger to the hardware market, it’s far more comfortable and experienced in being the software supplier, rather than the manufacturer too. What today’s Surface 2 and Surface Pro 2 announcements bring are incremental upgrades to the core hardware – better graphics, a newer processor, the sort of things we’d expect – but the tweaks to the accessories show the company is at least taking on board some of the feedback. For example, the attachable keyboard ‘covers’ now include the option of the Power Cover that will charge your Surface 2 or Surface Pro 2 while connected. It’s also now adjustable to support the tablet at two different angles. Small things, but it’s the small things that tend to annoy too. What this says to me is that Microsoft knows it’s playing catch up with its own tablets but that it’s in it for the long-haul. If it wasn’t the Surface 2 tablets would have been far more radically changed – an altogether more expensive, harder and lengthier process, but to what end? The hardware wasn’t generally the criticism of the original units, and if it was, it was in areas that have been addressed with the update, like battery life and viewing angle. Don’t get me wrong, I won’t be buying a Surface 2 (remaining as I am, thoroughly unconvinced by Windows RT), and the chances of me shelling out for a Pro 2 are pretty slim too, but it’s clear that Microsoft is just getting started in the mobile and tablet space as a device maker, so to take the incremental upgrade route while it gets its messaging, branding and resources in-line for future generations under a new leader is unsurprising. What will in part determine the relative success of the Surface 2 (specifically) is whether Microsoft can convince buyers that there is a place for it in their lives this time around, and whether it can keep a realistic grip on stock levels. Certainly, its $900 million write-down of the first Surface will be fresh in mind. Microsoft’s purchase of Nokia’s smartphone and mobile device (non-smartphone) units make no bones about its intentions either. Microsoft is here to stay in the mobile market – right now a third place contender, but it’s still early days in the scheme of things for a company with its heft. There was no need for Microsoft to buy these businesses though, it could have simply continued its ‘strategic partnership’ with Nokia if it was simply dipping its toes into the smartphone waters. Instead, it chose to snap up parts of the Finnish handset maker and go it alone, streamlining some of the process along the way. There was also another likely driving force behind its purchase of Nokia – it needed to secure a route to market for its devices for the future, and with precious little support coming from other Windows Phone makers (go ahead, name a handful of other Windows Phone handsets made by a company other than Nokia that are due to arrive in the near future), buying the relevant units shores this up. The purchase also helps with Microsoft’s other Windows problem – Windows RT, the cut-down version of Windows 8 found on the Surface and Surface 2 (not Pro), just isn’t popular with tablet makers. 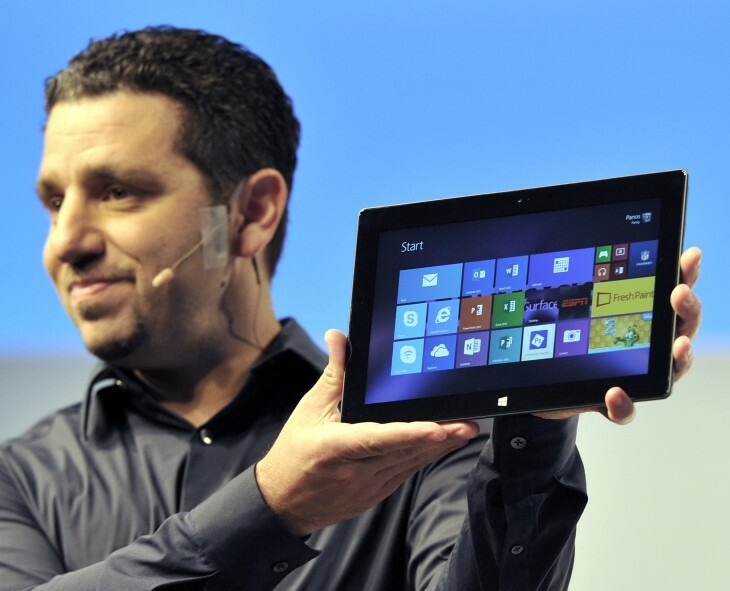 Asus, Samsung and HTC have all canned previous plans for Surface RT-based Windows tablets this year. Again, by buying Nokia it gives its RT-based tablets another potential route to market and another shot at convincing potential buyers to part with cash – whether it will help in its overall success or not remains to be seen, and is in-part dictated by how quickly the Windows 8 app store can deliver the headline (and beyond) apps that people need. Was today’s Surface 2 and Surface 2 Pro announcement exciting? Not really, but it’s a marker in the sand for a company that thinks it’s just getting started.